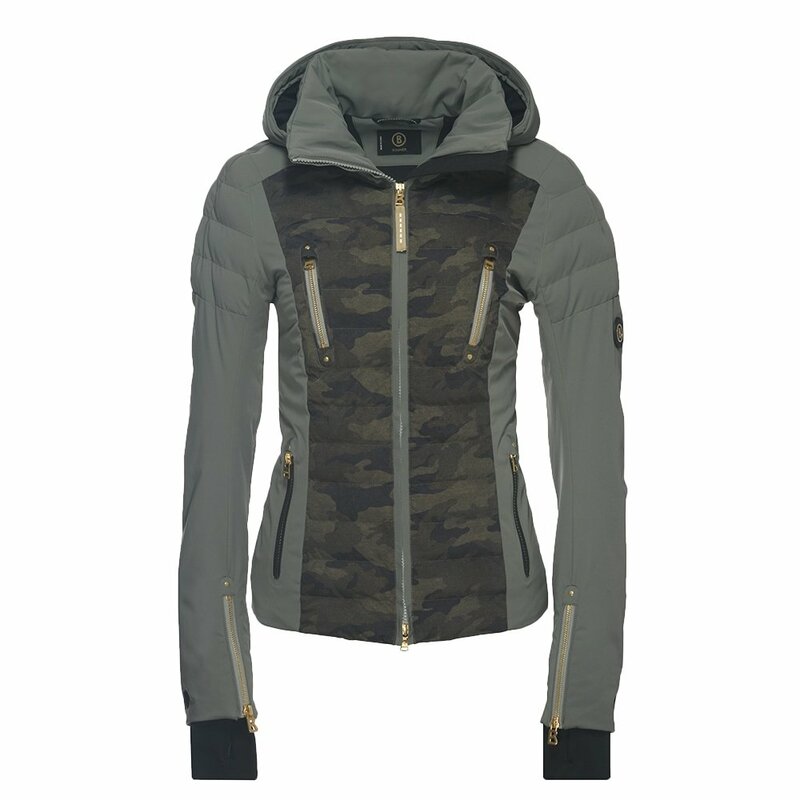 If you love the look of Bogner’s popular Suzie-T Jacket but want a look that stands out just a little more, you’ll love the camouflage print Bogner Suzie-T Insulated Ski Jacket. This sporty ski jacket is completely on-trend and offers the features you need for day after day on the slopes. A high-level 20K waterproofing rating keeps you dry even in prolonged, heavy snowstorms, and the 20K breathability rating means that moisture gets pulled off your skin to keep you dry and warm. In addition to the front hand pockets, you’ll love the two additional chest pockets and secure interior pocket to keep your on-mountain gear safely stowed. The Bogner Suzie-T Insulated Ski Jacket has a removable hood and an attached powder skirt, making it perfect for intense alpine conditions.